This time period was marked by moving R.M. Wade Distribution to a new warehouse in Beaverton. Wade Mfg. 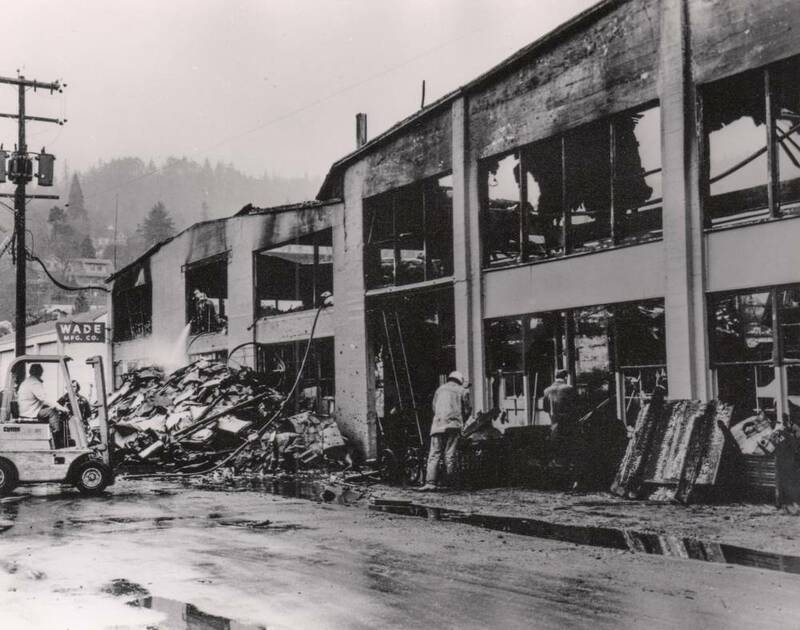 Co had a disastrous fire in 1975 and later that year opened a new plant in Tualatin. The distribution division entered the new market for outdoor power products and sold the Leyland Tractors. Also the smaller Japanese tractors made by Satoh were very popular. Wade Rain also developed a linear move and automatic center pivot system. As the US agricultural market fell into a serious recession in 1980. 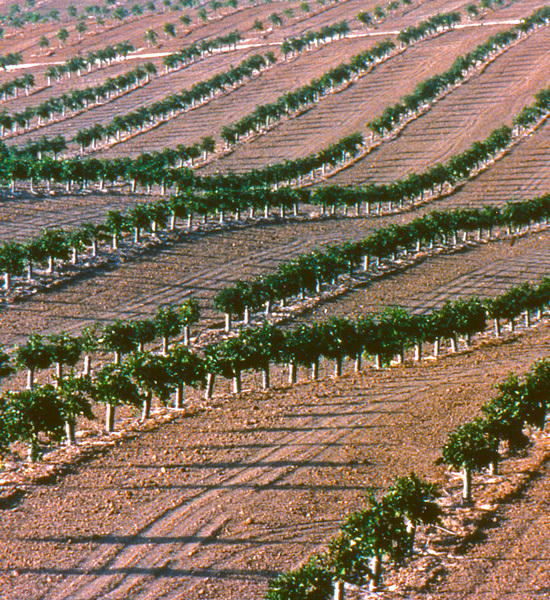 Wade Rain focused on the international market experiencing large sales of systems to Saudi Arabia and Egypt. 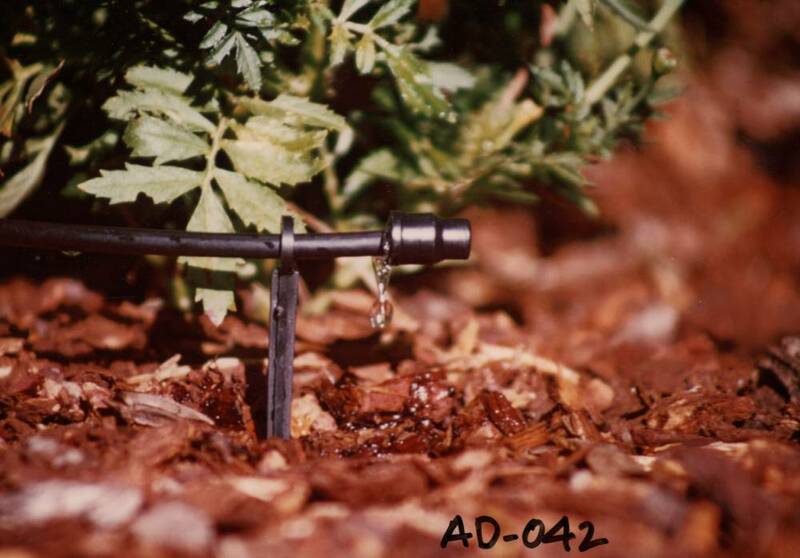 In 1987 Wade Rain entered the drip irrigation business by purchasing a company in Fresno California. 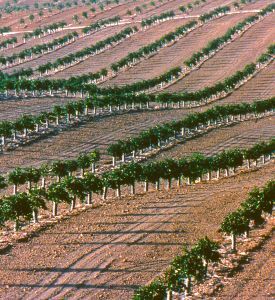 In 1987 it was the first company to successfully apply drip irrigation to leach mining, with its new Ore-Max drip systems. 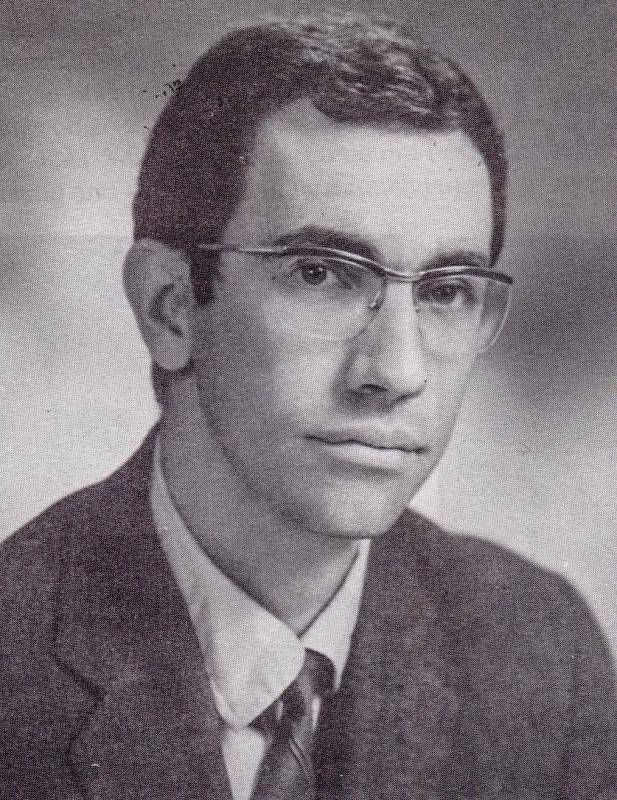 Around 1965 R.M. Wade & Co. started importing Satoh tractors from Japan. 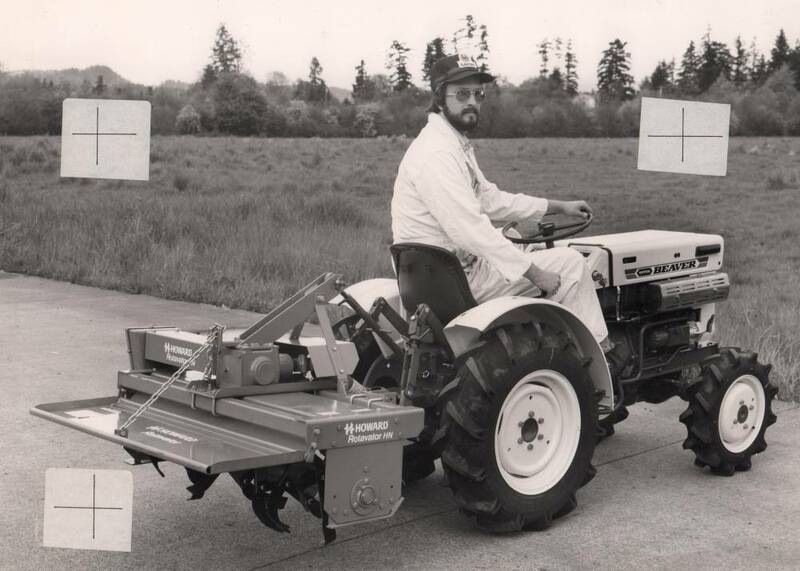 These were smaller tractors (up to 30 HP) that were more suitable for small acreage applications. This tractor line became a big success. 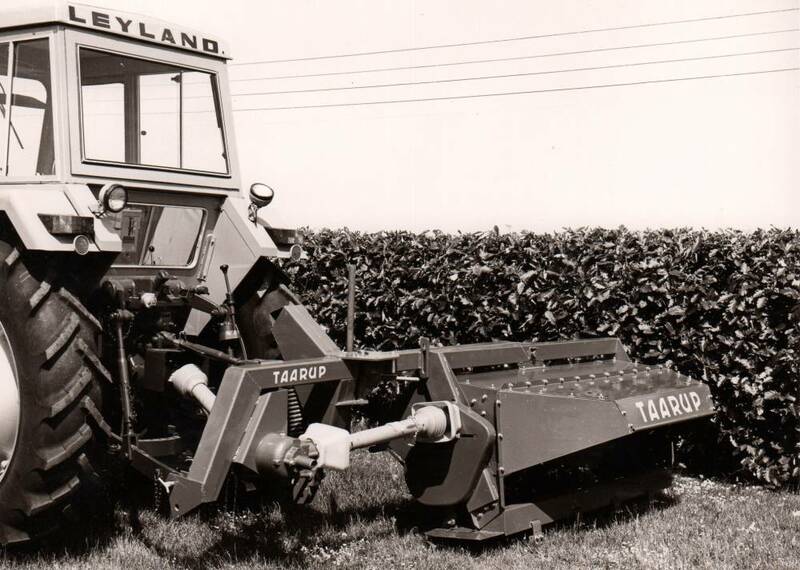 We carried a complete line of implements for these tractors including rotary cutters and Howard Rotavators. Satoh was eventually bought by Mitsubishi and sold under that name. One year we sold over 200 David Brown Tractors and 150 Satoh tractors. 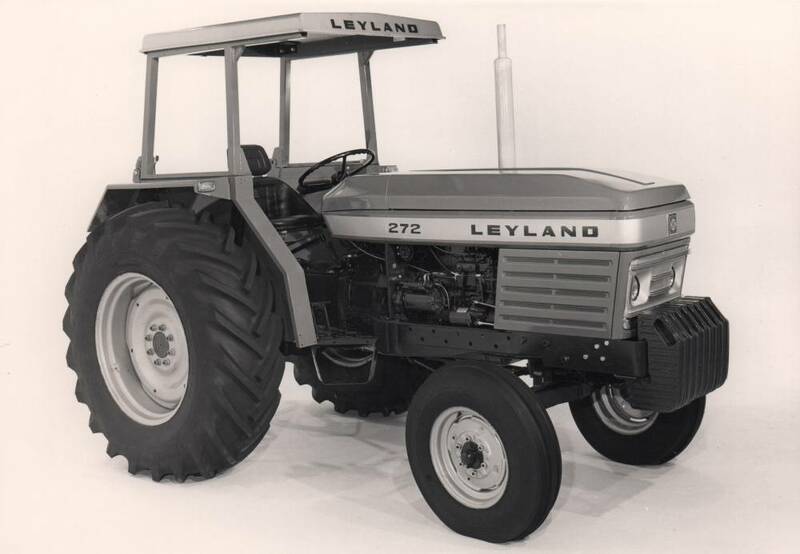 We took on the Leyland tractor which was made by the British Motor Car company. It needed some design changes for the US market. However, British Motor car was reluctant make these changes and as a result the Leyland Tractors were never very successful in the US market. 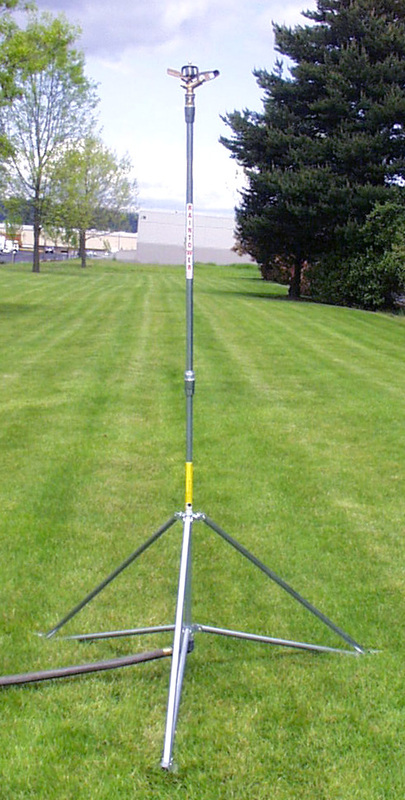 Also we started selling Tarrup alfalfa mowers made in Denmark. 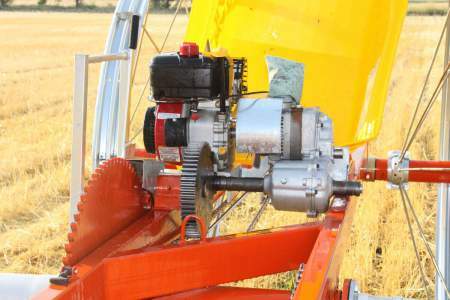 The new rotary cutter design was a big improvement in mowers because they could cut faster and did not tend to plug up with alfalfa. 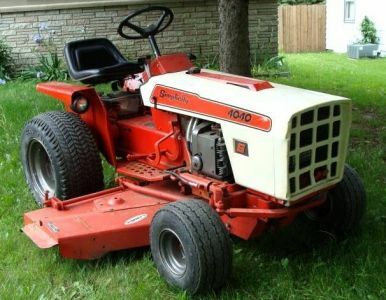 During the 1960's there was a growing market for small mowing tractors and other equipment for people to use on homes with larger land areas. 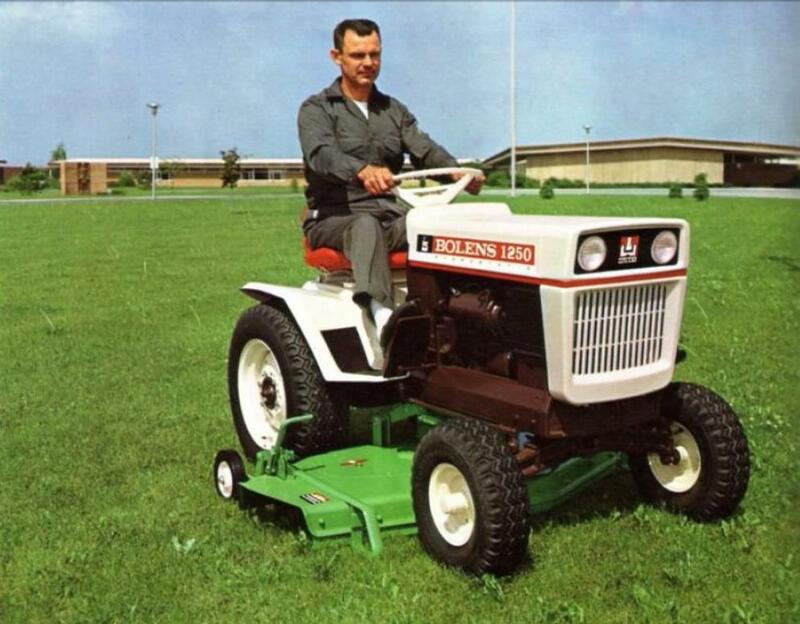 Bolens a manufactuer of what became know as garden tractors approached RM Wade to become their distributor for the Northwest. We took on the Bolens line and it was an immediate success. 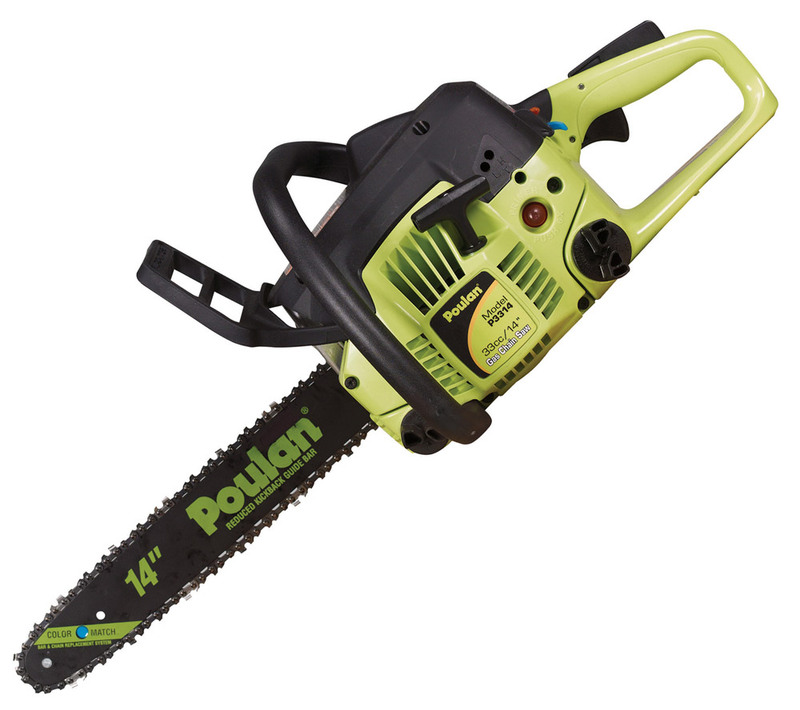 We added other products for this market such as chain saws, small implements and even snowmobiles and snow throwers. This market depended on hundreds of independent dealers who were eventually replaced by Home Depot and other mass merchandisers. We carried outdoor products through the 90's and at that time represented Simplicity Garden Tractors. 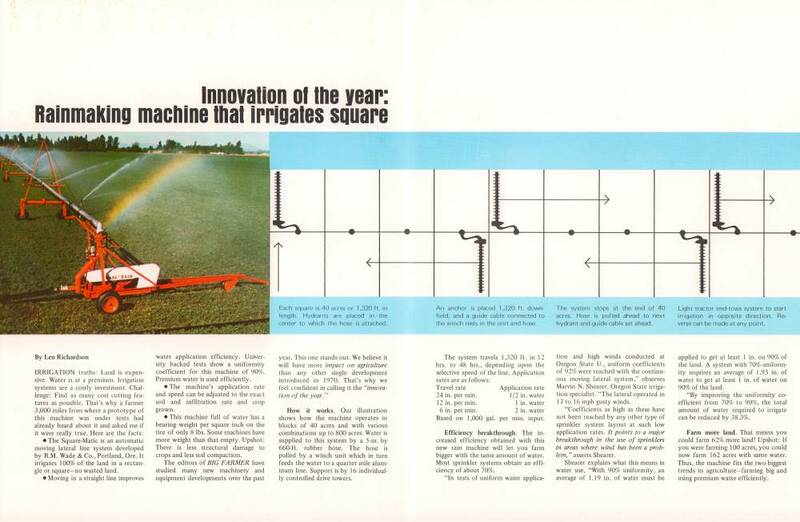 In 1972 we introduced the Squarematic, the first automatic self-propelled linear move irrigation system. 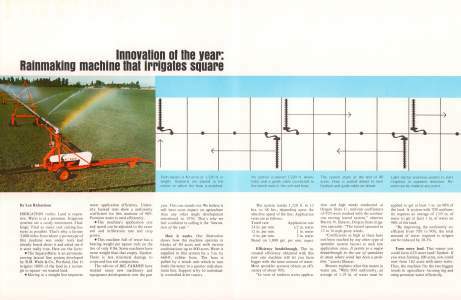 The Squarematic won the Big Farmer Innovation of the Year award, however it ultimately was not a successful concept. 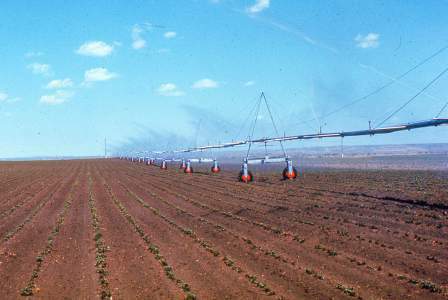 It turned out that farmers preferred the new center pivot machines because they didn't require any labor to irrigate hundreds of acres. 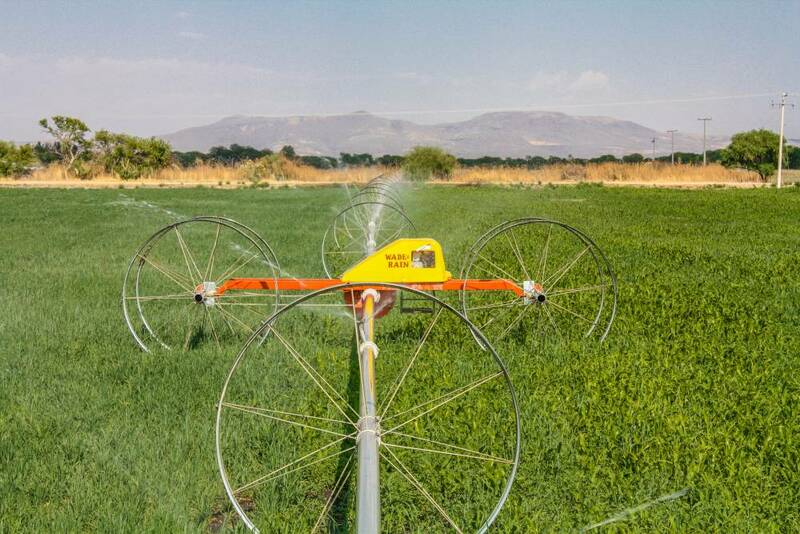 Today a farmer can irrigate several thousand acres while sitting at home and checking the status of the systems on his computer. 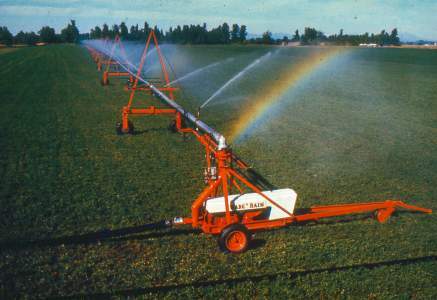 In 1975 Wade Rain introduced its first center pivot system. 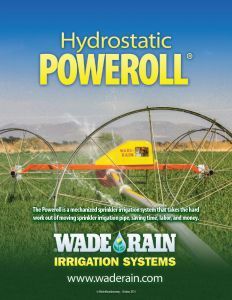 Wade Rain introduced the Model 70 Poweroll mover, the first hydro statically powered drive unit for wheelines. The hydrostatic transmission was adapted from the same unit used by Bolens in one of their garden tractors. 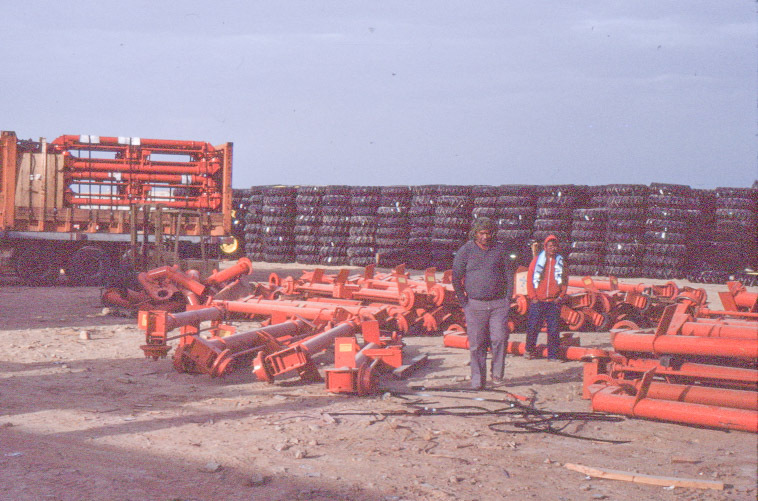 It was a perfect adaptation of the this type of transmission because it allowed the farmer to use the equivalent of "low gear" in driving the unit through heavy mud. Previously there was only one gear and one speed. Over 40,000 of Model 70 have been sold over the years and it is still the most popular whee line type system sold. In late 1972 we were notified by the state highway department there would be a new off ramp for the new Fremont Bridge right over our building on Thurman Street. This meant we needed to find another home and Wade Newbegin Jr., started looking for a new location immediately. 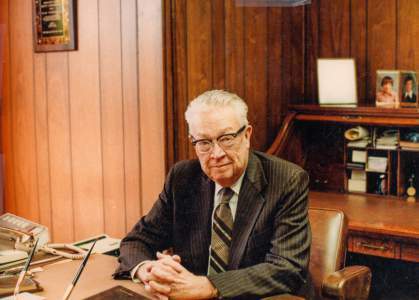 Coincidentally Allis-Chalmers, a farm equipment company, decided to shut down their warehouse operation in Beaverton and the building fit our needs perfectly and later that year we moved to Beaverton. 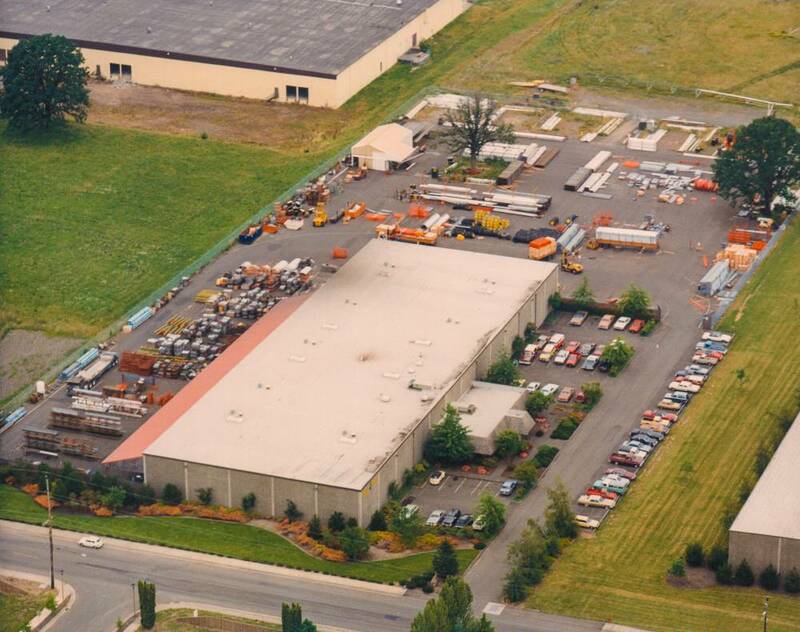 The Beaverton building accommodated our distribution warehouse and office, the entire sales department for distribution and Wade Rain, and the corporate headquarters. Ironically the off ramp over the Thurman warehouse was never built because of the objections of nearby residents..
Fire burned down the manufacturing plant in NW Portland just at the beginning of the 1975 irrigation season. It was a total loss and all inventory was destroyed in addition to the building. The roof collapsed on the machinery,but fortunately the production dies were undamaged. Through the tremendous efforts of our production group the company was back in business within 30 days, manufacturing at a temporary warehouse location nearby. 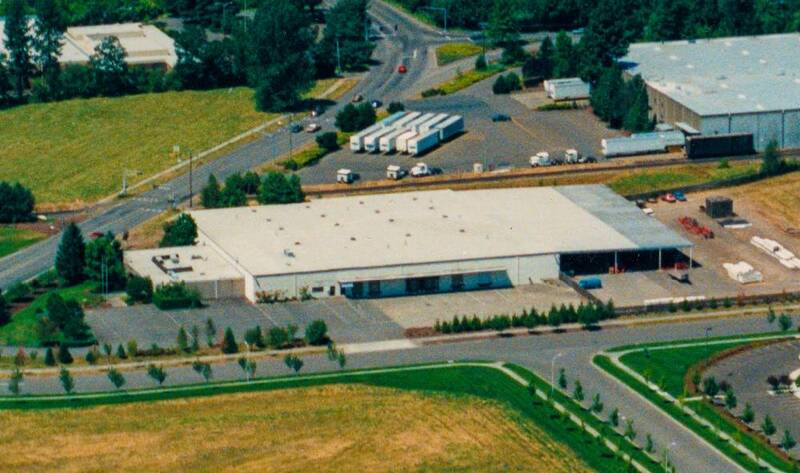 Everyone pitched in and worked hard to save the company and we relocated to Tualatin later that year. 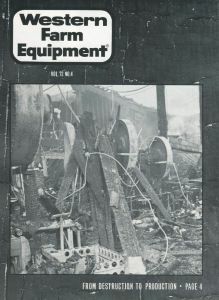 It was the largest business fire loss in Oregon in 1975. Following the fire the decision was made to rebuild Wade Mfg on acreage the company owned in Tualatin. Construction started in May and by October the building was complete. We moved in during November and started operations almost immediately. 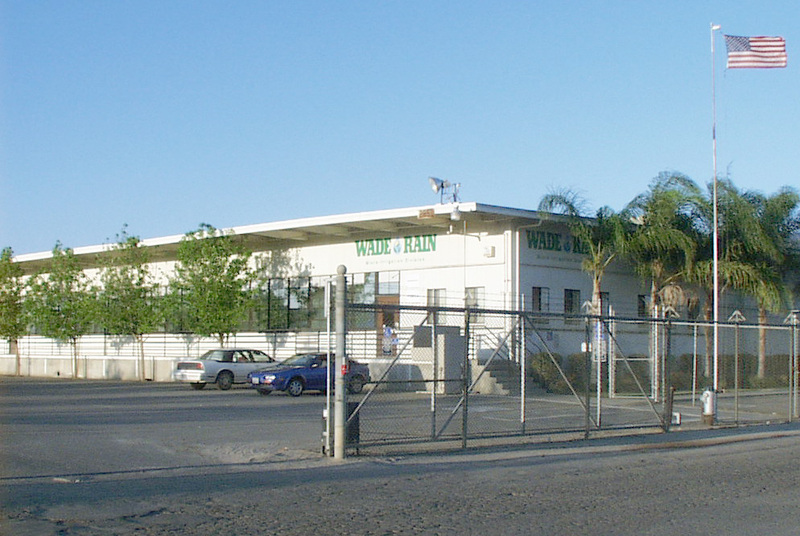 This building remains the current headquarters of Wade Rain. In 1977 we established a financing company called Wade Credit The purpose of the company was to provide financing for dealers to purchase equipment from R.M wade. It worked very well and operated for over 15 years. 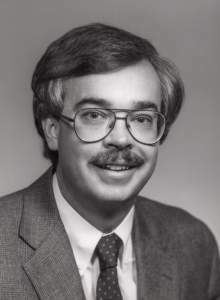 Wade Newbegin Jr became president of RM Wade Distribution Co and Ed Newbegin was appointed president of Wade Rain Inc.
President of Wade Rain Inc.
Around this time Lloyd Olson, a Wade engineer saw a need for a tall consumer sprinkler stand and designed the product that became known as the Raintower. It was a big success and sold by Walmart throughout the United States. 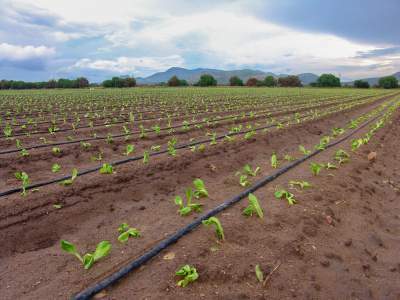 Hundreds of thousands were sold to people for watering gardens and small plots of land and it has become the quality standard in "tall sprinklers" and is still sold today. It stands six feet tall and waters 7,000 square feet at one time. 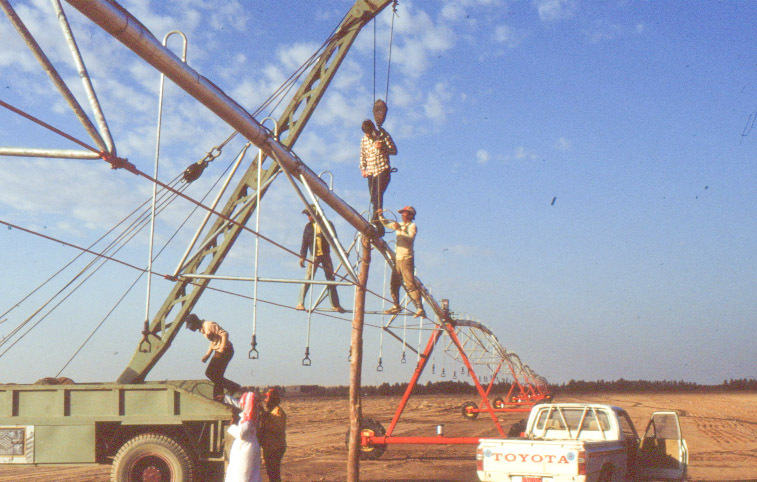 In 1980 the government of Saudi Arabia decided to become self sufficient in wheat production and there was a tremendous demand for irrigation systems to produce the wheat. 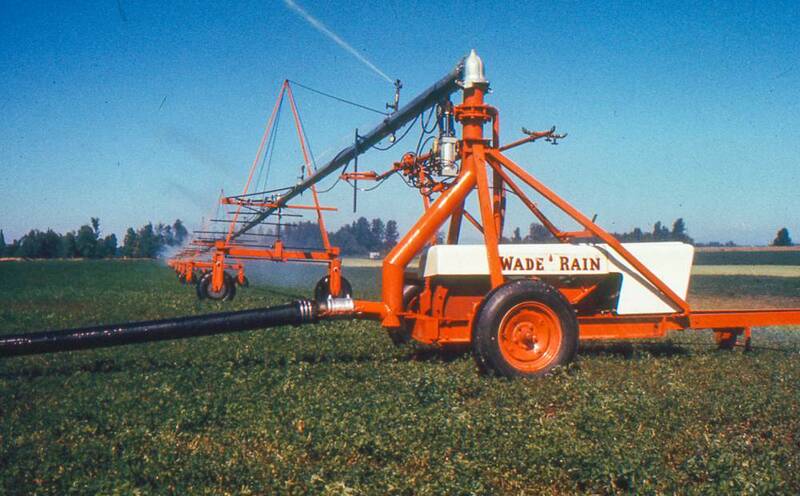 Wade Rain exported hundreds of center pivot systems to Saudi Arabia and it was a very prosperous time for the company. 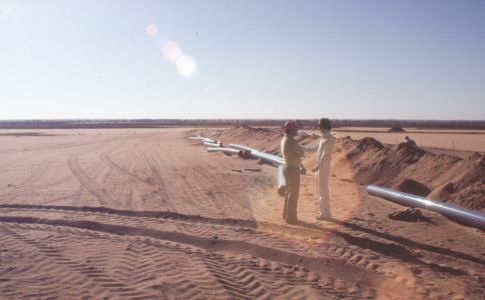 Below are pictures of Wade Rain's operations in Buraydah, Saudi Arabia. 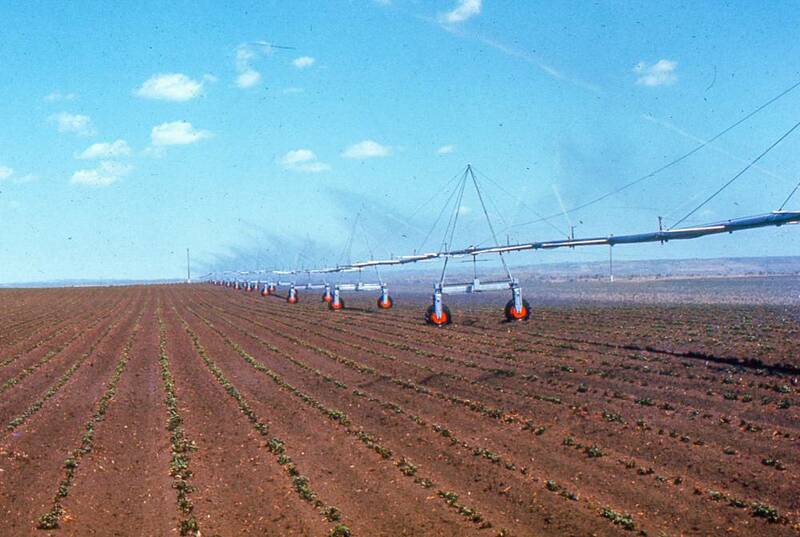 At one time the company had over 100 pivots in stock in Saudi Arabia. 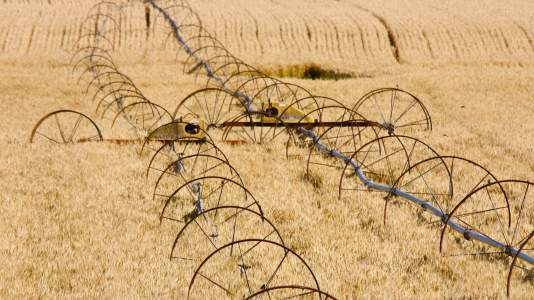 The US agricultural market suffered through one of its worst recessions from 1981-1986. It was the result of over borrowing during the 70's when times were much better. Commodity prices dropped to unprecedented levels and farm income fell almost 75%. The result was farmers who had mortgaged their land could not make the payments on their loans and hundreds of thousands of farms were repossessed during this time period. There were Farm Aid concerts all over the country to raise money for help. Farmers just stopped buying equipment and every single farm equipment manufacturer except John Deere went into bankruptcy or was sold to avoid it. Also the independent dealers could not survive the depression and most of them went out of business. The result was a dramatic decline in the equipment distribution business and during the recession RM Wade downsized its distribution business to a smaller operation. 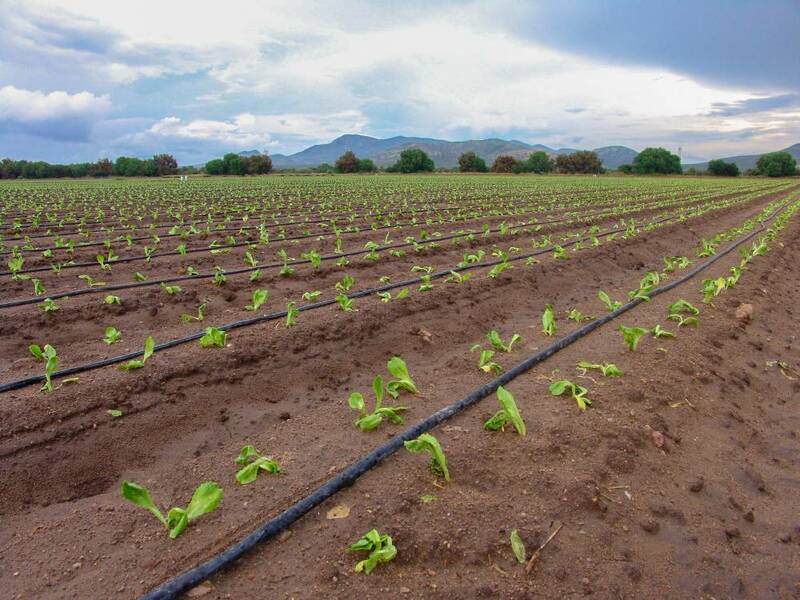 For years the drip irrigation segment of the industry had been growing and taking more of the market from sprinklers. Drip irrigation was first invented in Isreal and it applies water very slowly in small quantities. 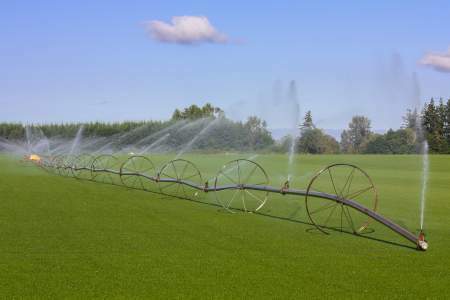 It is the most efficient way to irrigate and plants do much better when the water is applied in small quantities because the oxygen in the soil remains available to the roots. 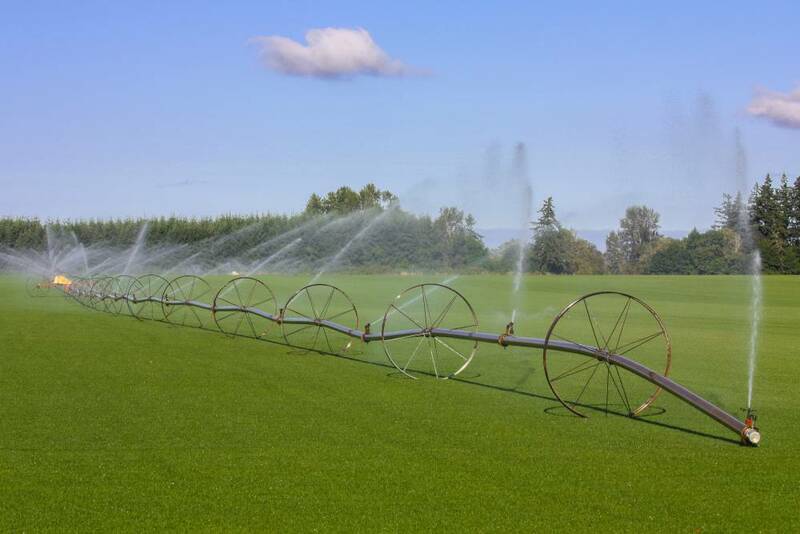 We decided that Wade Rain should develop or acquire a drip manufacturing company, and the opportunity came up to buy the Irridelco Drip Company in Fresno. It had a good product line but sales had been declining. 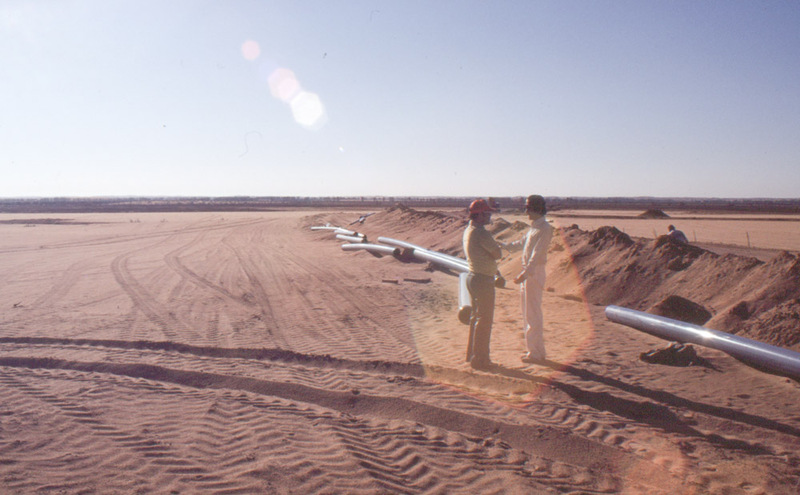 We bought it in the fall of 1987 and were able to turn it around and make it profitable in 1988. 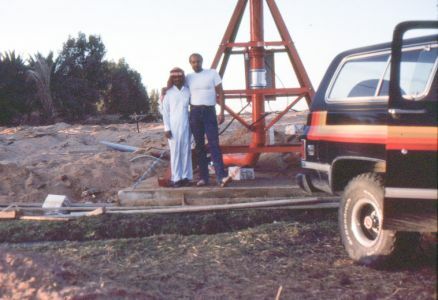 The plant operated 24/7 during most of the years we owned it and employed up to 150 people. 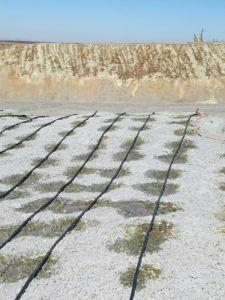 For many years the copper and gold industries in their leach mining operations had used sprinklers to apply the leaching chemicals. 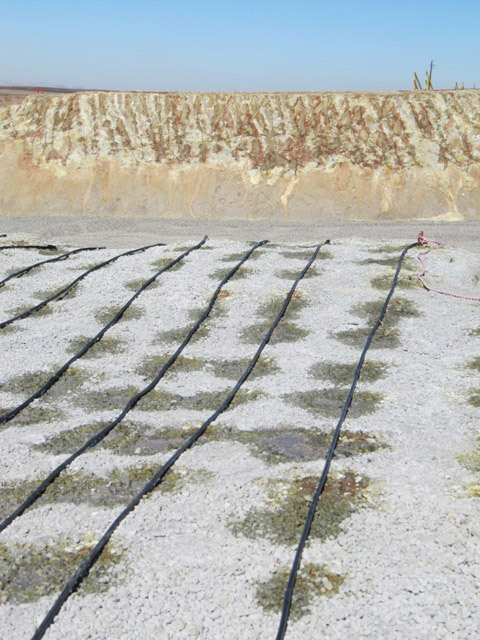 This was an inefficient and environmentally harmful process because the sprinkler spray would drift beyond the mine and also it would cause puddling and blow outs at the mine. 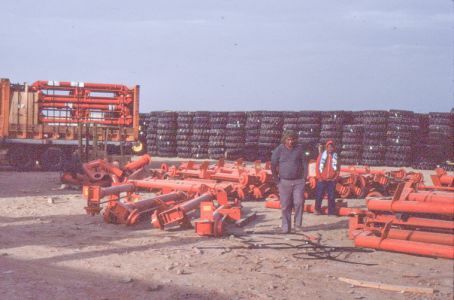 Rick Krauth an inventor working for the Fresno Division first applied drip tubing to a mine in Nevada, in December of 1987. 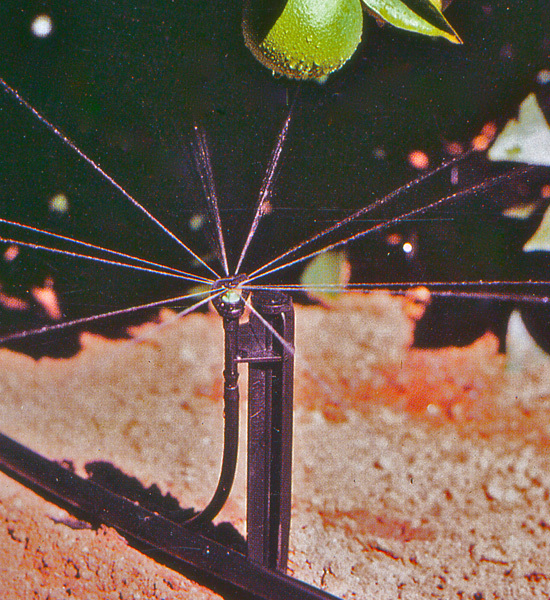 It was very successful and within a year most of the gold mines had converted to using drip instead of sprinklers. We called our new product line Ore-Max. 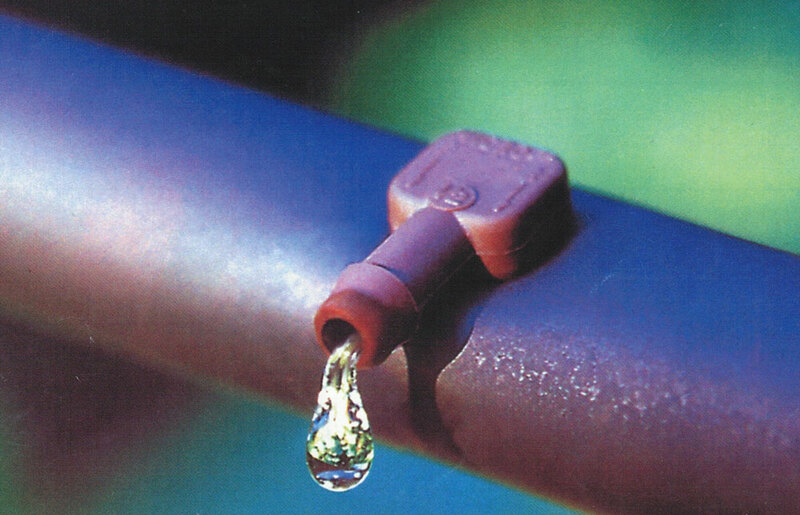 It resulted in more ore production and eliminated the adverse environmental effects of sprinklers. 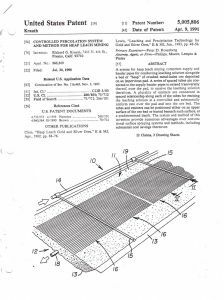 This innovation revolutionized leach mining practices and made them environmentally safe and increased production at the mines. 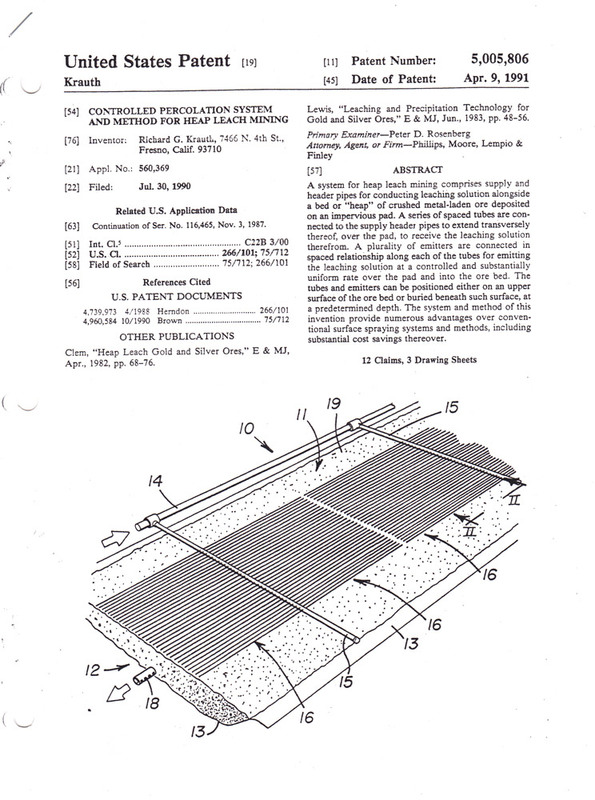 RM Wade was awarded a method patent for applying drip irrigation on mines and also received special recognition from the patent office for a product which improved the environment. 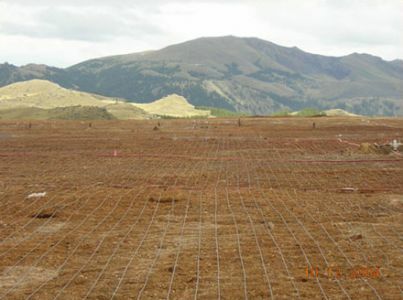 All leaching operations are done in an area completely sealed off by a plastic liner to prevent any solution from escaping. Wade still sells Ore-Max to mines around the world.